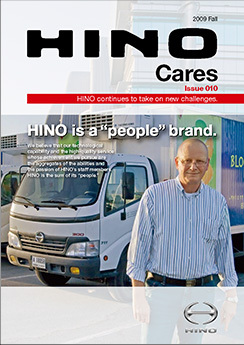 We want as many people as possible to learn more about HINO. 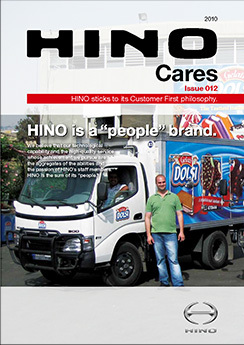 One way of achieving this is to publish HINO Cares on a regular basis. 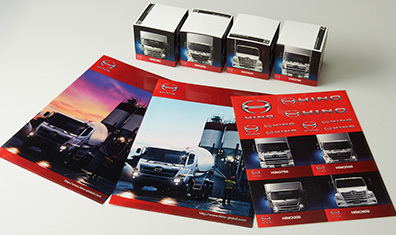 We are implementing a campaign where you will have the chance to win free Hino original goods! Please give us your feedback so that we can make the content even more enjoyable! 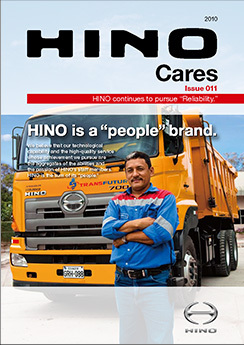 Hino Motors believes that as a manufacturer of commercial vehicles it has a responsibility to society to help make each and every truck and bus the company makes are as safe as possible. 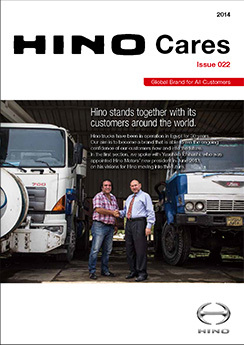 Hino both works to develop technology that contributes to enhanced safety as well as undertakes educational activities to promote safety in markets around the world. 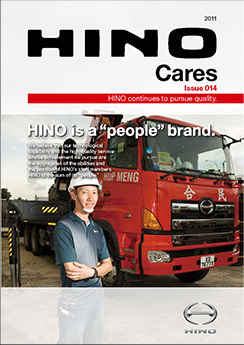 For this special feature, we sat down with Executive Technical Adviser Keiichi Kitazawa, the man in charge of safety technology at Hino, to learn more about the philosophy behind and approach to the top-priority issue of "safety" at Hino. Q. 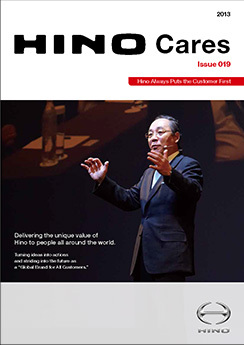 First, could you please tell us about the basic way of thinking when it comes to safety at Hino Motors? 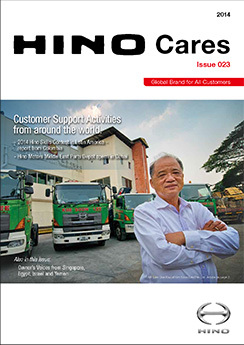 As commercial vehicles, buses are entrusted with the lives of many passengers. 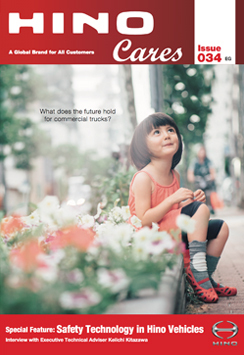 Trucks, because of their size and weight, if they are involved in an accident, they may lead to significant damage. For these reasons, we see vehicular safety when it comes to trucks and buses as an issue of the utmost importance. Q. 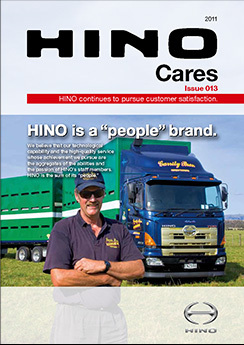 Can you tell us about Hino initiatives being taken to ensure safety? We have set a target of helping reduce traffic accidents casualties. Toward this end, we are thoroughly gathering information related to the causes of accidents on general roads and highways. Based on what we learn, we will implement measures. 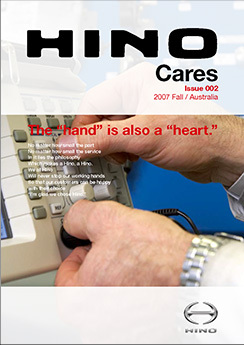 Enhancing vehicle technology alone is not enough to prevent accidents. 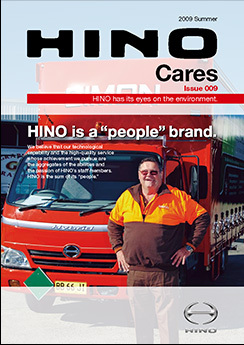 At Hino, we believe that it is essential to undertake an integrated, acrossthe-board approach that hinges on vehicles but also addresses infrastructure, vehicle operators and drivers preventing accidents, as well as operations management. At our customer centers, we conduct activities such as safety training to enhance the skills and awareness of vehicle operators. 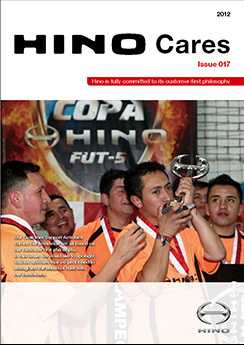 This is something that we do not only in Japan but also in places including Malaysia and Latin America. Q. Can you please elaborate on the ideas of preventive safety and collision safety? Of course. First, preventive safety involves a warning system and technology designed to warn vehicle drivers about and help control vehicles to avoid dangerous situations. The technology used in our vehicle-stability control and pre-collision system helps to prevent trucks from rolling and skidding when cornering. Sensors monitor things such as the relationship between vehicle distance and relative speed and the system alerts drivers when the situation may require special attention. Next, collision safety technology is designed to aim to minimize damage in the unfortunate event of an accident. 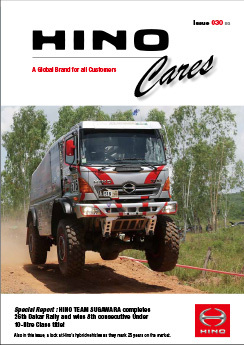 acts as a barrier to protect the engine in addition to contribute to keeping what we call "survival space" by helping to prevent the cab from being crushed in collisions with large vehicles. Q. 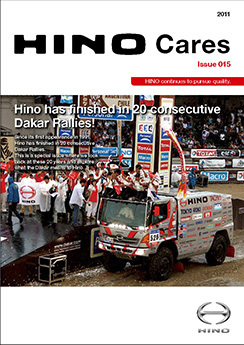 Does Hino boast any safety technologies that you think set it apart from the competition? 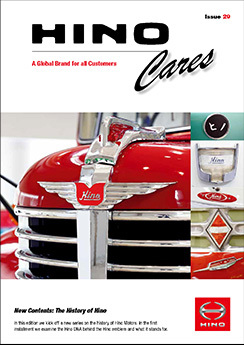 One important point is the fundamental approach that we bring to manufacturing vehicles. 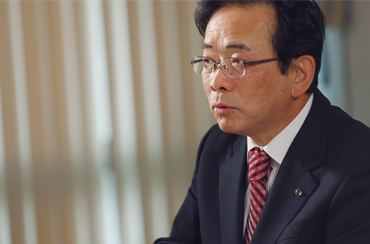 We have a policy of making the newest safety technology standard on our vehicles. Doing so it helps to spur the spread of this technology. 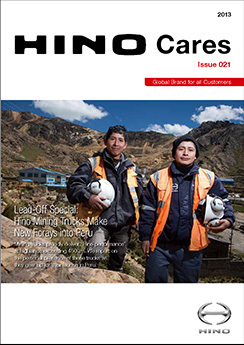 We don’t want safety to be an option that people can add, but rather have in place a culture in which we are thoroughly striving to provide safety technology to as many customers as possible as quickly as possible. 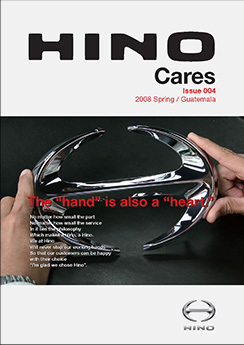 By developing products and getting them to market as soon as possible, we believe that we not only can hone our own technology but also incorporate feedback from customers into the technology and combine additional technology to further enhance safety In addition, since we are part of the Toyota Group, there is the added benefit of being able to efficiently standardize safety technology by optimizing the safety technology and parts developed for passenger vehicles and putting them to use in commercial vehicles. Q. 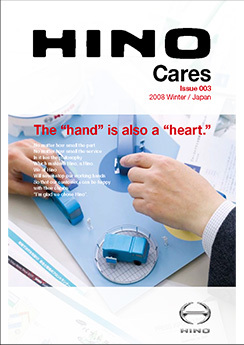 Please tell us about your activities related to the hot topic of automated driving technology. 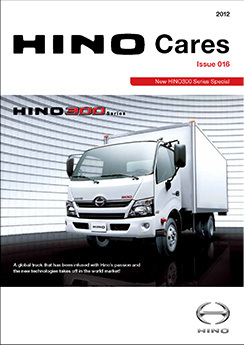 In Japan, advanced driving technologies have gradually proliferated and the number of accidents has been decreasing. Yet, human error is the cause behind 90% of accidents, a fact that points to the extremely high promise that autonomous driving has for reducing accidents. 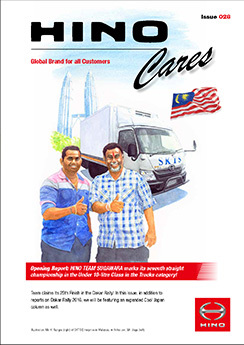 Another factor extremely relevant to commercial vehicles is the shortage of drivers. 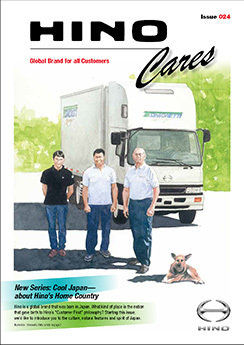 The demographic situation in Japan and elsewhere is such that there are fewer young drivers, and in the future it will be increasingly hard to secure adequate driving personnel. 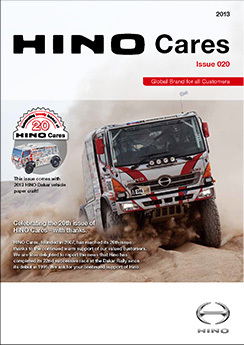 Obtaining a license to operate commercial vehicles is itself a challenge, so it seems likely that the operator shortage will be an ongoing problem. At the same time, many people use passenger vehicles to get around. As the elderly stop driving, more people will be using buses, but if a shortage of bus drivers results in fewer buses operating, this could have a signifi cant negative impact on society as well. 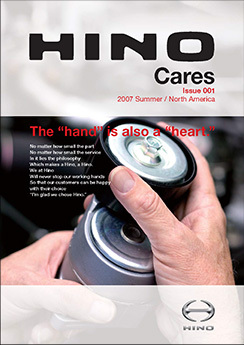 We believe that self-driving technology is the answer to these problems. Artifi cial intelligence (AI) may replace the role of the driver or operator. 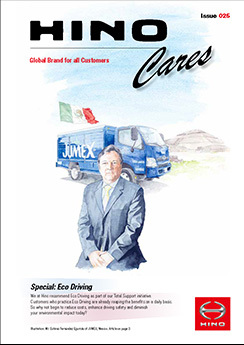 We believe that this is far more feasible for commercial vehicles than passenger vehicles, in part because of the comparatively fi xed nature of their routes. 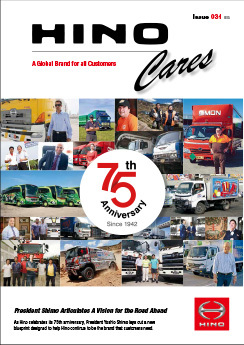 Of course, the cargo of trucks and number of passengers on buses may vary, so there are diffi culties related to variations in vehicle handling that accompany changes in weight. We will need to raise the level of this technology through simulations, using actual drive data and making AI learn.The human factor will still remain essential because it is people who will be responsible for educating the AI. Q. 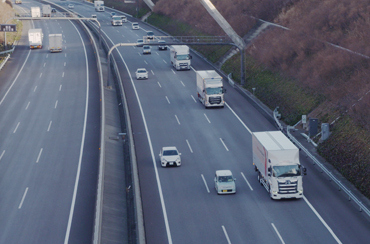 Please tell us what you see as the significance of the platooning vehicle initiative led by the Ministry of Economy, Trade and Industry of Japan and in what technologies advancements are being made. 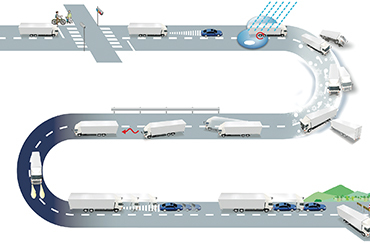 Simply put, platooning refers to multiple vehicles operating together in a line or close formation. This comes with technological challenges such as dealing with falling objects or when other vehicles cut in between platoon vehicles, but we are harnessing AI and moving ahead to overcome these issues step by step. In the initial stage, drivers will drive each vehicle. The lead vehicle will communicate its speed, acceleration and deceleration to the following vehicles. This will enable the following vehicles to maintain consistent formation and very stable vehicle distances. This will dramatically increase fuel economy and improve transportation efficiency. We also have been developing a technology that can control lateral directional movement with an automatic steering assist system that automatically keeps a vehicle in its lane. Vehicles in the platoon almost automatically follow the preceding vehicle. Although drivers constantly keep their hands on the steering wheels, we believe this change will greatly reduce driver fatigue. In the second stage, drivers following in the convoy stop actively driving and only monitor the vehicle. The lead vehicle rotates, with other vehicles in the convoy taking turns in the lead as in team pursuit speed skating. 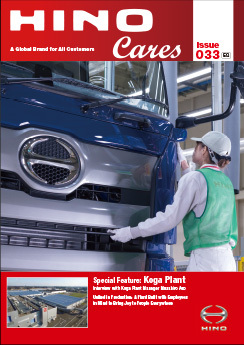 Periodic replacement of the lead driver for the purpose of reducing driving fatigue contributes making it possible to travel longer distances more safely while also improving logistics efficiency. Ultimately, in the final stage, the vehicles following in the convoy will be completely unmanned and autonomously operated. The driver of the lead vehicle will control two following vehicles. The lead driver is necessary because human judgment will be required if a problem crops up such as if an object has fallen on to the road. 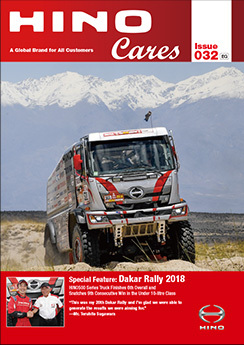 A key issue is how well can vehicles in the convoy follow the vehicles ahead of them. A major challenge that we are developing technology to overcome is how to manage safely the platoon in relation to other vehicles on the road. 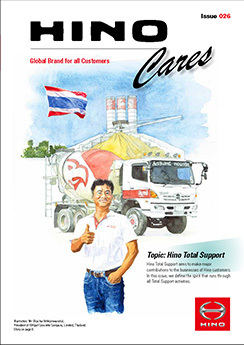 DISTRIBUIDORA DE AUTOMOVILES S.A. DE C.V.
TRADING AND DEVELOPMENT CO. LTD.
TRADING INT. 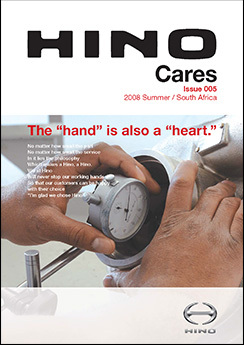 GROUP (TIC) INC. c/o Real Auto B.V.
TOYOTA DE ANGOLA, S. A.